We live in a society fraught with conclusions. You may ask, now what is he talking about? I will answer. We simply live in a society that conducts itself upon conclusion, with often misrepresented Subjective Reasoning, mostly based from illegitimate facts — such as those based upon fear, or misrepresentation of facts sometimes based on Heritage, or just outright lies. Arrogance out of profound ignorance, or macho posturing, or the inability to pass into the realm of manhood or womanhood, are merely subordinate to this situation – although emotion often plays a dramatic and effective roll, it is merely yet another subordinate causation. What I am discussing here is “Illusory Superiority” within our human day to day activities. This is a proven human condition we all suffer from regarding our daily aptitude in all things. For many of us, it is not just within the horse or wildlife subjects, but inclusive with all else – for example politics and religion, and an insurmountable amount of other subjects as well. For example, in any given group we find, through investigation, observation, and study that 80% of individuals might typically think they know about, as well as understand, the subject of horses. In discussion we find many people are adamant about the subject, both emotional and can sway factual evidence toward non-factual circumstances. But when tested we discover perhaps 20% of them do know, the others not so much. It is sometimes called the “Above Average Effect” and essentially it means that for much of our life we will personally value our self slightly better at things than those around us. It’s this same effect that also makes you think you, in this case knowledgeable about horses and wild horses, are and remain the pyramid of reasoning or the Patron Saint of Horses (keep it light and laugh as well, as human traits are fun and can be enjoyed), and all others, well, they just fall into place much less than average. Interesting is the fact this also goes along with the situation of only 40% to 46% of those who own horses actually ride them – yes, it is estimated that 54% to an amazing 60% do not ride their horses. True, the remainder might own all of the equipment and trailers, and an insurmountable tack display, but simply rode the horse a few times, or not at all, and really do not ride them – out of fear, emotion, or false subjective reasoning – the reality collides with the conflict of illusion. Another good example to many, and seen daily now, is the supposition that makes you think you can take on anyone in a fight, whether mental or physical, or navigate your way out of a life-threatening situation, whether mental or physical, and actually win. Well, once again and most often this is an “Illusory Superiority” effect, and can get you hurt, or worse – so there is, make no doubt, a specific danger in this as well. I think we’re starting to get a glimpse of how this all works out, and how many times people choose sides, and indeed there is a right side and a wrong side, make no doubt, even though built on an illusionary causation of circumstance – because frankly, the situation should not have developed to such proportion anyway – and that is often such a mitigating truth, and sad in the matter of how humans can be so destructive toward nature and our wildlife . . . This cognitive bias, first officially named in 1991, has now become a staple of modern psychology and has been tested across intelligence assessments, physical performance, and yes even social interaction. It is closely tied to a similar effect called the Dunning-Kruger effect. It claims the “Illusory Superiority” is more common than you might think, and goes on to call it “the anosognosia of everyday life” – allow me to clarify, simply put it is a lack of truthful-subjective self-awareness in your daily existence. There are many reasons, both positive and negative, in the matters of why we do this, to include physical mechanisms as well. But the more acceptable theories state it comes down to the ways, or manner, in which our brains process complicated information, into simpler, easier to manage estimates, usually in our own favor — bias. On a more positive side this situation aids in motivation, giving us incentive to push forward in the knowledge we are doing well and it gives us confidence that we will, indeed, succeed. However, and this is a vast however, is the downside of this situation. Many people think they are proficient at things without any evidence to support the idea. Once again we wander into the realm of Subjective Reasoning. What are the benefits involved? More often than not, ego; sometimes financial benefits within a manipulated process and we become victims from our own illusions (i.e. politics or religion, or accepting anyone else’s opinions), and on and on it goes . . . Ultimately what this means is – we are simply not as good as we think. Our knowledge combined with someone else’s knowledge, and under the same cognitive bias, Subjective Reasoning or “Illusory Superiority” complex, is destine toward destruction. Sadly, we can look at the realm of Wild Horses. Through the benefit of sound reasoning, now that we understand “Illusory Superiority” — we can hopefully approach, within reality, how to resolve this situation – or at least place ourselves on the right-road toward a resolution. It is because the count of 70,000-Plus Wild Horses rounded up in the past few years (yes a vast Gorilla in the room we are all acquainted with), and many went or going to slaughter, is a realistic number. This number absolutely contradicts and conflicts with many illusions many people have in the matter of them stating, or attempts to persuade others they are actually saving Wild Horses! As usual, and with the Wild Horses sacrificed, the current mind-set of saving them is, and remains, merely an illusion; whereas, only a few benefit, and the Wild Horses die – THIS IS THE REALITY! This is not a matter of me suggesting routes to resolution within this paper. Rather, it is a matter of seeing the truth and how to actually get to it, or obtain the freedom for Wild Horses, in a reality mind-set; because, only through the truth will a resolution be brought about that can be of benefit to the Wild Horses, and actually save them from so much Subjective Reasoning developed through so much “Illusory Superiority” within BLM, Welfare Ranching, Corporate maneuvering on Public Lands, large advocate groups who need to make money to support themselves, and on and on it goes, this supposed reasoning and self-gratification over all-else, to include Destruction of Our Wild Horses for nothing more than small short term profits . . . Yes, we have a problem — we need to confront it, and stop ignoring it! Jan gathered the food out of the car, placed it nicely on the picnic table. Jim was walking up from the creek, fishing pole in hand, but nothing caught. A scream in the distance. Penny jumps up, turns and runs toward her father. Jim tosses the pole aside, arms wide to catch his daughter running toward him. He catches her, rises, with her in his arms. “I seen it. It was really big. It snorted,” said Penny. By this time Jan was near Jim, her hand atop Penny’s shoulder. Jim looks at Jan, then sets the girl down. Jan kneels beside her daughter. The Bay Stallion, now on a small knoll, stops, turns. The Stallion looks at the family standing near the creek. Majestic in the sunlight, it’s left-leg, hoof, rises. He sweeps the hoof three times, then sets it down; pounds the dirt; dust rises, underneath the hoof, three more times. With a twist of its head, a rise and swoosh of its long Black Mane, he snorts, kicks-out, turns, gallops over the hillside, disappears. “I didn’t know any were left out here,” Jim says, sadly, still watching the hillside. Jan, wipes her tears from her cheeks, wordless, stares at the hillside. Jim picks up Penny, Jan steps beside Jim. They watch, as two hillsides over, the Bay Stallion stops in mid-slope, looks at the family again – suddenly, coming up to him from the valley below, a Bay Mare, with a young foal beside her, stops at his side. The stallion looks across the hillside, once more. Proudly, he looks toward his Mare and foal, then to Jim. “Oh, my God,” Jan says while wiping the tears off her cheeks, and Penny, now. It’s time to question the increase in wildlife-eradication, or to explain it plainly, stop killing America’s Wildlife out of ignorance and fear. Yes, it is a problem! As in right here, right now and in America, over 40% of our Wildlife in America has been killed – or eradicated. Worse yet, is the fact that within the past 15 years this has happened. We also have a government agency, Wildlife Services, that kills anywhere from 2 million wildlife and animals yearly, up to 5.8 million a few years ago and within a one-year time frame as well. Ironically, this was accomplished within someone’s mind-set of acceptability, both in principle and standard of management ideologies, and (as awkward as this sounds), a conservation tool. Many government employees, for example, eradication or killing animals, actually to them, a useful and quick way to dispose of problems within their jurisdiction toward a resolution and is used quite often. Indeed, killing wolves and cougars in ranching areas remains a well-accepted practice. But does good science and actual proof, in another words real evidence show clearly this to be true, that wolves and cougars in these situations indeed the problem? Again, where are these non-profits, who take donations, in the millions of dollars’ worth, but apparently have done nothing to save America’s Wildlife, and worse, has not even acknowledged the same. But once again the truth pops up, reality, and demonstrates through good science that eradication methodology is simply bad-science in disguise, if considered science at all. Most government science today is predicated upon commercial or special interest needs. This, in reality, means there is a lack of science that can be considered good science what so ever and within our government today. 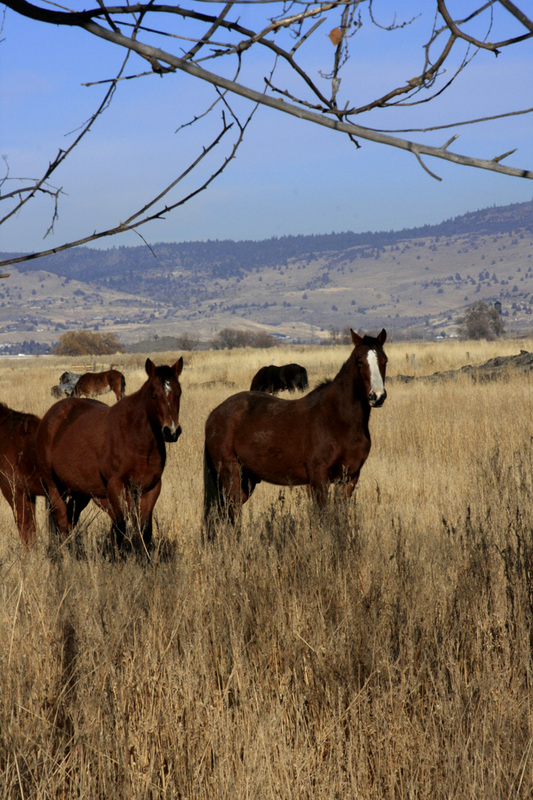 The Bureau of Land Management for example, leave cattle out of their rangeland and environmental ecological systems studies, data gathering and research – then blame wild horses for rangeland destruction, as an invasive and non-native species . . . So we can assume that cattle are an indigenous species in someone’s mind; which is based on no science anywhere. Which leads to yet another problem. If the wild horses are not indigenous, yet BLM admits they existed here 5,000 years ago, were considered (loosely by snobbery science) to be killed off, then a couple thousand years later returned – “Oh Darn, lookie there, more horses just turned up” – then what was the time frame for horses to be taken from indigenous-status, to non-indigenous or invasive-species status? There is a lot wrong with idiotic science, and then explained within official government documents as real. But it is, in reality not science at all. So we have an acceptable invasive-species, cattle, and to have them the wild horses, basically an indigenous-species when good science involved, has got to be eradicated for the invasive-species to exist on Public lands – actually taking over and destroying Public Lands – but within the BLM — observation, experience, and actual circumstance has no value – when compared to BLM employees having a Howdy-Doody smile while telling a taxpayer a tremendous lie. Now we can begin to understand the governments’ scientific methodology, both state and federal. Soon we realize there is none. Oregon Department of Fish and Wildlife, for another example of bad-science, leaves out Poaching statistics as well as attritional aspects of their eradication programs. The agency they use, Wildlife Services, remains well known for disregarding environmental assessments as well – so who knows, as no data exists. ODFW certainly doesn’t know. But yes, ODFW uses Wildlife Services, a branch of the USDA. This is basically a situation where trappers, and other government groups/employees, will eradicate by supposedly a scientific choice (but no science would agree with it in reality, and none is ever found, nor an EA) of wildlife from the mountains, woods, or wherever, at the request of, for this example, a cattle rancher – a decision that was emotionally-based out of ignorance and fear, and nothing more. 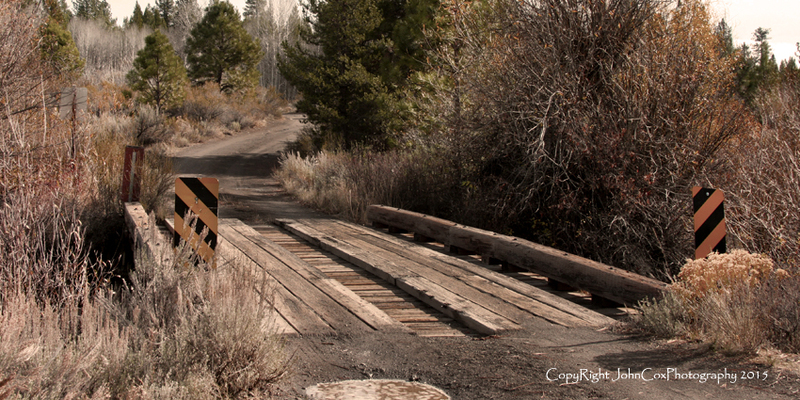 In this single situation case — Beavers, where poison-pots, cyanide gas, and traps were set to kill them. 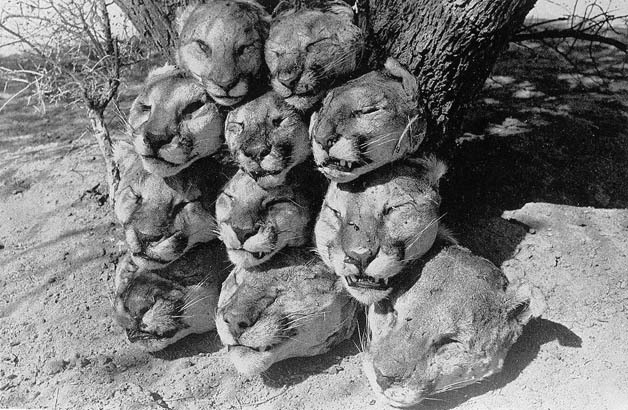 One tally of attritional-only wildlife killed within a three-day time period, and kept track of by an observer keeping statistics of the Controlled-Eradication, assimilated: 26 Fox, 14 Beaver, 120 squirrels, two hunting dogs within the proximity of the cyanide, one small house dog/a pet died in a leg-trap, 2 house cats as well and in their own yard poisoned, all for 3 Beaver who damned a stream near a cow pasture near Murderer’s Creek, Oregon. 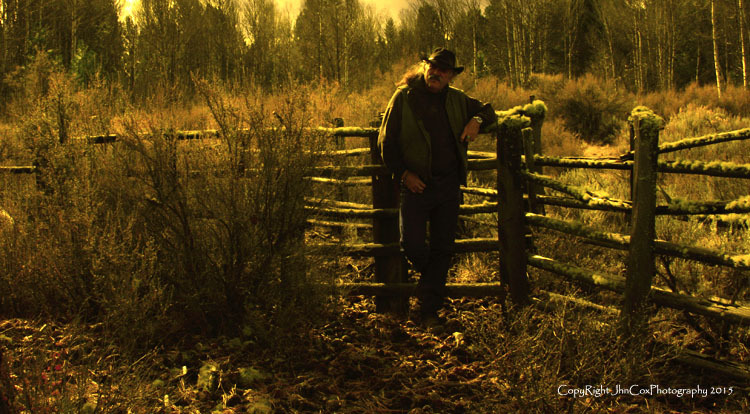 This particular rancher thinks anything but cattle on Public Lands, where he grazes his over-abundance of cattle per acre, is a waste and should be eradicated anyway. The extremely creepy part to this, most cattle ranchers who graze on or near Federal Lands believe this as fact – and as well, most over-graze on state or federal lands, destroying the ecological system present. 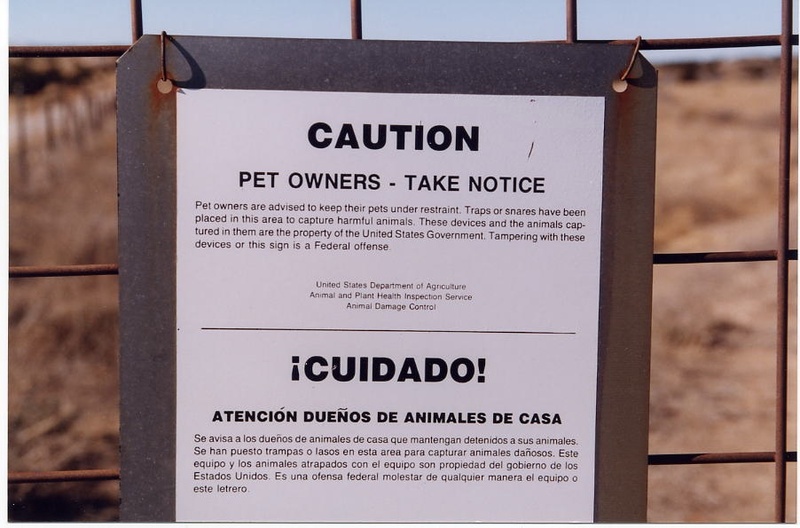 It has also been shown his cattle do create a destructive environmental impact on this area – as shown in Federal Court, and due to his mismanagement of the cattle, as well as too many cattle on that particular grazing area. killing wildlife is not, in truth, useful at all when based upon bad-science, on fear, on hate for particular wildlife, on lies, on profit margins, and quite often in today’s Public Lands situation, in order to place more cattle upon federal or public lands to eventually sell to foreign markets. One has got to ask about the actual sacrifice we make, here in America, in order for an overabundant amount of cattle to graze on Our Lands, America’s Lands! Is it worth swapping out most of our Wildlife for cattle? Insult to injury — we also subsidize ($ billions yearly) these ranchers for their overabundance of cattle, destruction of our environment, killing of our wildlife unnecessarily, and abuse of our supposed Federally Protected Lands – for what? Well, we receive nothing actually “0” . . . Here reality speaks much louder about controlled-eradication. This mind-set that pointedly favors corporate and commercial entities — over the taxpayers, or the majority that actually owns Public Lands and the Wildlife – which a group our government and a few others have forgotten about – our group is called — Americans. Currently government managers give significance to the term indigenous species; which is something very significant but conclusive of bad-science deduction (for example cattle are left out of all Range Management science conducted by the BLM for their Range Statistics – uh huh), then they replace indigenous species, actually calling them invaders and then the step-upward to invasive species. When termed Invasive Species, then many things happen almost automatically; suddenly we see indigenous species being eradicated, oddly killed as a matter of written policy. Two months ago this policy did not exist. This is the current nature of not only Federally managed lands and wildlife, but State managed lands and wildlife. So we have, according to governing agencies, many species including horses, bear, cougar, elk, et al., who are then considered aggressive invaders doing harm through competition. Then along comes money-making opportunities as well, and the band-wagon is fraught with scammers and schemers crawling all over it – Yes, it is called or referred to as Breed-Control, and common today is the use of such not-noteworthy items at all, and created from bad science or incompetent science, such as PZP. Why would an agency that is tasked with managing wildlife resources for the common good advocate for the controlled-eradication of several species of wild animals? Alien invasive species means an alien species which becomes established in natural or semi-natural ecosystems or habitat, is an agent of change, and threatens native biological diversity. A viewpoint switch is easy, just a matter of perception because when closely examined, “alien, native, aggressive, competition, invader and harm” are empirically hollow buzzwords that are constantly redefined at the whim of those who use inflammatory, arbitrary jargon to promote the war on weeds and wildlife. Scientists who propose controlled-eradication should offer their proof, always, along with a well-documented and defined and thorough collection of good data – good science — .honesty – and truth that shows consistency over time the resolution enhances, rather than destroys, an ecological system. Unquestionably, biodiversity loss is a real problem but its root cause is anthropogenic – human impact – not ‘invasive aliens”. Yet, the constant alarm sounded by government employees for example, selling their “invasive species crisis” is that animals like wild horses, cougars, bears, wolves, burros and others “harm” biodiversity. In truth, it is rancher’s, corporations and mining that destroy environments and ecological systems, then out of some type of psycho-pathetic moronic behavior, most often to cover up their mess of the environment, demand controlled-eradication’s of wildlife as well as many plants which pose some idiotic threat. The truth is, good science shows us most plant and animal “invasions” are nature trying to heal herself by restoring biodiversity to systems unbalanced by man. This healing of biodiversity is necessary for wildlife to recover. If you are using subjective definitions for the terms “native,” “alien,” “harm,” “invader,” and “competition,” how will these concepts be adequate to formulate a scientific discipline of ecological principles, management decisions and public policy? What are your criteria for ecological “harm?” The criteria needs to be measurable and objective, not just subjective speculation (e.g. ODFW on the delisting of Wolves). They should apply to all species, irrespective of whether they are theoretically “native” or “alien.” In the absence of these criteria, on what basis are you determining which species to control or exterminate? What are your objectives, ecological criteria of “alien” species? Of “invaders?” These need to be precise so any biologist or landowner can identify “non-native” or “invader” in any ecosystem by evaluating the criteria without being told in advance what the designation is for a specific plant or animal. It must be possible to confirm this through double-blind experiments, which do not give away in advance the definition of the plant or animal tested. For example, how does the BLM distinguish between “native” and “alien” plant monocultures, between expanding “native” and “alien” populations, and the effects of “natives” and “aliens” on the ranges? How can one distinguish harmless or helpful characteristics of a new species from “invasion” particularly at the early stages? The example that comes to mind is when BLM wiped out 100 burros that ranged on 500,000 acres of state and national parks with 100 miles of river frontage because the burros supposedly threatened water sources for bighorn sheep. What protocol does government employees have, to determine the conservation value of new populations that have moved outside of historical ranges? Are all such population moves “invasions?” And if so will they be exterminated without regard to possible conservation value? Who will make these decisions? Under what authority are those decisions made? If there is disagreement as to whether a species is harmful how will these be adjudicated? What measures have government agencies put in place to ensure that harmless species or species that serve useful conservation purposes are not the object of harmful control or eradication measures? We can look at both the wolf and the wild horses, and state without a doubt no measures exist currently. If we abandon native/alien criteria in favor of invasive/non-invasive criteria or aggressive/non-aggressive criteria how will these terms be defined? Considering that population numbers of native animals swing widely, how do we justify any efforts to impose stability on these “exotic” populations? How is the cause of “invasion” to be determined? If human impact is the only reason will the extermination of the species spreading as a result of this solve the “problem” or will this create a downward spiral of inappropriate interventions? Shouldn’t we be treating causes instead of symptoms? How has government employees of all levels attempted to ensure against potential conflict of interest inherent in accepting money for research from sources that may have their own agendas? Wild animal ‘management’ according to financial self-interest, authoritarian ignorance and superstitious pseudoscience is the worst thing ever to happen to wildlife, and what is being done to plants by the government invading biologists using little to no science, is even worse. Take wildlife: conservation began in order to protect wild animals and plants from reckless destruction. Ironically, the truth here was changed to something of an abstract and destructible form of ignorance, with Apex Predators especially, and mostly built on fear. America’s Wildlife needs protection not only from our government, but bad-science, and from those who assume all science is bad, which it is not, and we can see for ourselves, what is and what is not – experience and observation tells us also, what is and what is not good science. What is not good science is the mass genocide of America’s Wildlife – and there is no science, or common sense that backs up so much killing of wildlife that favors a type of positive resolution. There is no resolution to be gained what so ever! The Wildlife loses – Americans lose – America loses . . .
Gerstell, Richard. 1985. The Steel Trap in North America. Stackpole Books, Harrisburg, PA. 352 pp. Decker, D. J. and K.G. Purdy. 1988. Toward a concept of wildlife acceptance capacity in wildlife management. Wildl. Soc. Bull. 16:53-57. Deblinger, R. D., D. W. Rimmer, J. J. Vaske, G. M. Vecellio, and M. P. Donnelly. 1993. Ecological benefits and hunter acceptance of a controlled deer hunt in coastal Massachusetts. Northeast Wildlife 50:11-21. Ellingwood, M. R. and J. V. Spignesi. 1986. Management of an urban deer herd and the concept of cultural carrying capacity. Trans. Northeast Deer Tech. Comm., Vt. Fish Wildl. Dep. 22:42-45. Organ, J. F. and M. R. Ellingwood. 2000. Wildlife stakeholder acceptance capacity for black bears, beavers, and other beasts in the east. Human Dimensions of Wildlife. 5:63-75. Strickland, M. D., H. J. Harju, K. R. McCaffery, H. W. Miller, L. M. Smith, and R. J. Stoll. 1994. Harvest Management. Pages 445-473 in T. A. Bookhout, ed., Research and management techniques for wildlife and habitats. (5th ed.) The Wildlife Society. 740 pps. Organ, J. F., R. F. Gotie, T. A. Decker, and G. R. Batcheller. 1998. A case study in the sustained use of wildlife: the management of beaver in the northeastern United States. Pages 125-139 in H.A. van der Linde and M.H. Danskin, eds., Enhancing sustainability – resources for our future. SUI Technical Series, Vol. I, IUCN, Gland, Switzerland and Cambridge, UK. 178pp. Kallman, Harmon., ed., Restoring America’s Wildlife 1937-1987. 1987. U.S. Dept. of the Interior, Fish and Wildlife Service. 394 pp. Union’s wild fur regulation: a battle of politics, cultures, animal rights, international trade and North America’s wildlife policy. Trans. No. Am. Wildl. and Natur. Resour. Conf. 63:572-588.
population resiliency of the muskrat (Ondatra zibethicus). Pages 425-442 in J.A. Chapman and D. Pursley, eds., Proc. Worldwide Furbearer Conf., Frostburg, Md. 2056 pp. Brooks, R. P. 1980. A model of habitat selection and population estimation for muskrats (Ondatrazibethicus) in riverine environments in Massachusetts. Ph.D. Thesis. Univ. Massachusetts, Amherst. 113 pp. Linscombe, G. R. 1995. U.S. fur harvest and fur value: statistics by state and region. International Assoc. of Fish & Wildlife Agencies. Boggess, E. K., S. B. Linhart, G. R. Batcheller, D. W. Erickson, G. R. Linscombe, A. W. Todd, J. W. Greer, D. C. Juve, M. Novak, D. A. Wade. 1990. Traps, trapping, and furbearer management. Wildl. Soc. Tech. Rev. 90-1. 31 pp. MacInnes, C. D. 1987. Rabies. Pages 910-928 in M. Novak, J. A. Baker, M. E. Obbard, and B. Malloch, eds., Wild Furbearer Management and Conservation in North America. Ontario Ministry of Natural Resources. 1150 pp. Todd, A.W., J.R. Gunson, and W.M. Samuel. 1981. 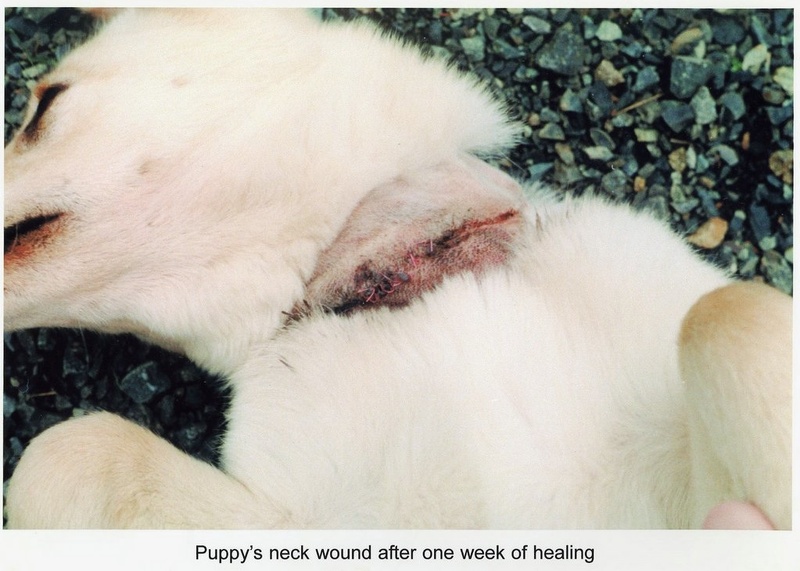 Sarcoptic mange: An important disease of coyotes and wolves of Alberta, Canada. Pages 706-729 in J.A. Chapman and D. Pursley, eds. Proc. Worldwide Furbearer Conf., Frostburg, Md. 2056 pp. Voight, P. R. and R. L. Tinline. 1982. 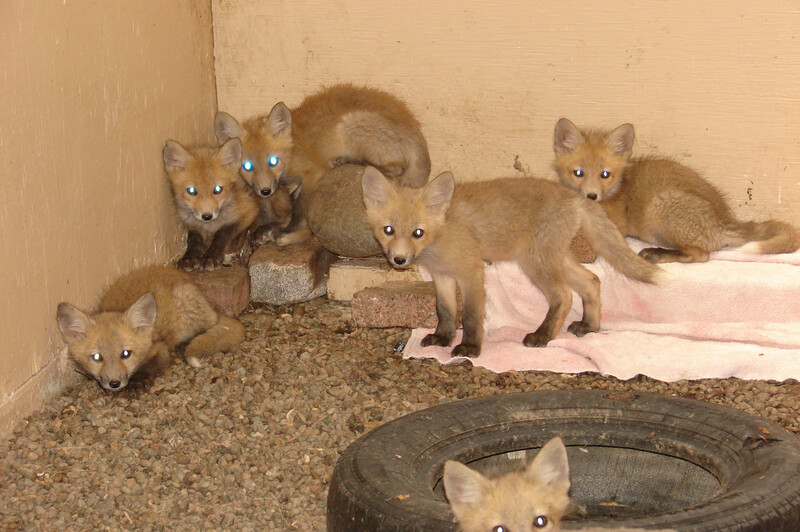 Fox rabies and trapping: a study of disease and fur harvest interaction. Pages 139-156 in G. C. Sanderson, ed., Midwest Furbearer Management. Proc. 43rd midwest Fish & Wildlife Conf., Wichita, Kans. 195 pp. Rosatte, R. C., M. J. Pybus, and J. R. Gunson. 1986. Population reduction as a factor in the control of skunk rabies in Alberta. J. Wildl. Dis. 22:459-467. Payne, N. F. 1980. Furbearer management and trapping. Wildl. Soc. Bull. 8:345-348. Todd, A. W. and E. K. Boggess. 1987. Characteristics, acitivities, lifestyles, and attitudes of trappers in North America. Pages 59-76 in M. Novak, J. A. Baker, M. E. Obbard, and B. Malloch, eds., Wild Furbearer Management and Conservation in North America, Ontario Ministry of Natural Resources. 1150 pp. Wolfe, R. J. 1991. Trapping in Alaska communities with mixed subsistence-cash economies. Tech. Paper No. 217. Juneau, AK: Alaska Dept. Fish & Game. Baker, O. E. South Carolina Dept. Natural Resources. Personal communication. Decker, T. A. 1991. Trapping and furbearer management in Massachusetts. Mass. Wildl. 41:18-27. Muth, R. M., J.J. Daigle, R.R.Zwick and R.J. Glass. 1996. Trappers and Trapping in Advanced Industrial Society: Economic and Sociocultural Values of Furbearer Utilization in the Northeastern United States. Sociological Spectrum 16:421-436. Brown, T.L., D.J. Decker and J.W. Enck. 1995. Preliminary Insights about the Sociocultural Importance of Hunting and Trapping. HDRU Series No. 95-2. Ithaca, NY: Human Dimensions Research Unit, Cornell University. 90 pp. Organ, J.F., R.M. Muth, J.E. Dizard, S.J. Williamson, and T.A. Decker. 1998. Fair chase and humane treatment: Balancing the ethics of hunting and trapping. Trans. No. Am. Wildl. and Natur. Resour. Conf. 63:528-543. Wolfe, R.J. 1991. Trapping in Alaska Communities with Mixed, Subsistence-Cash Economies. Division of Subsistence, Alaska Department of Fish and Game, Juneau, Technical Paper Number 217. Todd, A.W., and E.K. Boggess. 1987. Characteristics, activities, lifestyles, and attitudes of trappers in North America. Pages 59-76 in M. Novak, J. A. Baker, M. E. Obbard, and B. Malloch, eds., Wild Furbearer Management and Conservation in North America. Ontario Ministry of Natural Resources. 1150 pp. Mason, D. A. 1990. Vermont’s other economy: the economic and socio-cultural values of hunting, fishing, and trapping for rural households. M.S. Thesis. Burlington VT: Univ. of Vermont. 98 pp. Kellert, S. R. 1981. Trappers and trapping in American society. Pages 1971-2003 in J.A. Chapman and D. Pursley, eds. Proc. Worldwide Furbearer Conf., Frostburg, Md. 2056 pp. Batcheller, G. R., T.A. Decker, D.A. Hamilton and J. F. Organ. 2000. A vision for the future of furbearer management in the United States. Wild. Soc. Bull. 28 (4):833-840. Bishop, P. G. 1991. Unpublished report. New York State Dept. of Environ. Cons. Bishop, P. G. 1990. Traps, trapping and furbearer management in New York State. New York State Dept. of Environ. Cons. 12pp. Slate, D., R. Owens, G. Connolly, G. Simmons. 1992. Decision making for wildlife damage management. Trans. N.A. Wildl. & Nat. Res. Conf. 57:51-62. Green, J. S., and R. A. Woodruff. 1991. Livestock guarding dogs protect sheep from predators. U.S. Dept. Agric., Agric. Info. Bull. No. 588. Green, J. S., ed., 1987. 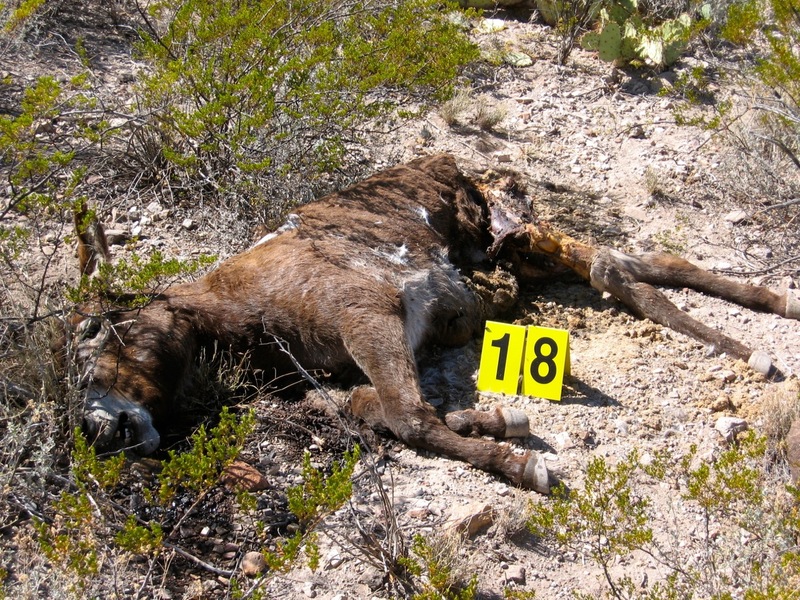 Protecting livestock from coyotes: a synopsis of the research of the Agricultural Research Service. Natl. Tech. Info. Serv. PB 88 133590/AS. 105 pp. Meadows, L. E. and F. F. Knowlton. 2000. Efficacy of guard llamas to reduce canine predation on domestic sheep. Wild. Soc. Bull. 28 (3): 614-622. D’Eon, R. G., R. LaPointe, N. Bosnick, J. C. Davies, B. MacLean, W. R. Watt and R. G. Wilson. 1995. The Beaver Handbook: A guide to understanding and coping with beaver activity. OMAR Northeast Science & Technology. FG-006. 76 pp. Miller, J. E., 1983. Control of beaver damage. Proc. Eastern Wildlife Damage Control Conf. 1:177-183. Langlois, S.A. and T.A. Decker. 2001. The use of water flow devices in addressing flooding problems caused by beaver in Massachusetts. Massachusetts Div. Fisheries & Wildlife. 16pp. Green, J. S., F. R. Henderson, and M. D. Collinge. 1994. Coyotes. Pages C-51 to C-76 in S. E. Hygnstrom, R. M. Timm, and G. E. Larson, eds., Prevention and control of wildlife damage. Univ. Neb. Coop. Ext. Serv. Muller, L.I., R.J. Warren, and D.L. Evans. 1997. Theory and practice of immunocontraception in wild animals. Wildl. Soc. Bull. 25(2):504-515. Rosatte, R., D. Donovan, M. Allan, L. Howes, A. Silver, K. Bennett, C. MacInnes, C. Davies, A. Wandeler, and B.
Radford. 2001. Emergency response to raccoon rabies introduction in Ontario. J. Wildl. Dis. 37(2):265-279. Jacobs, W. W. 1994. Pesticides federally registered for control of terrestrial vertebrate pests. Pages G-1 to G-22 in S. E. Hygnstrom, R. M. Timm, and G. E. Larson, eds., Prevention and control of wildlife damage. Univ. Neb. Coop. Ext. Serv. Siemer, W. F. and D. J. Decker. 1991. Human tolerance of wildlife damage: synthesis of research an management implications. Human Dimensions Res. Unit Publ. 91-7, Dep. Nat. Resources, N.Y.S. Coll. Agric. and Life Sci., Cornell Univ., Ithaca, NY. 24pp. Melquist, W. E., and M. G. Hornocker. 1983. Ecology of river otters in west central Idaho. Wild. Monogr. 83. 60pp. Decker, T. A. Vermont Department of Fisheries and Wildlife. Personal communication. Hamilton, D. 1999. Controversy in times of plenty. Missouri Cons. 8pp. Herscovici, A. 1985. Second nature: the animal-rights controversy. CBC Enterprises, Toronto. 254 pp. Francione, Gary L. 1996. Rain without thunder:the ideology of the animal rights movement. Temple Univ. Press,Philadelphia. 269pp. Kellert, S. R. 1984. Urban American perceptions of animals and the natural environment. Urban Ecology. 8:209-228. Thompson, T. R. and G. D. Lapointe. 1995. Learning from animal activists: a workshop approach. Wildl. Soc. Bull. 23:588-593. We have no hidden agendas here, nor make money off of anything we do, nor ask for donations. We respect and defend all wildlife and all other animals as well — and Defend them We will, for as long as the senseless, contrived, and greed situation kills our Wildlife and other animals !!!!!!! This is a response to Oregon’s Department of Fish and Wildlife in their awkward and no-scientific attempts to De-List the Wolf from the ESA! We, and the organization I represent, cannot and will not support your decision of De-Listing the Wolves within Oregon State. Our organization is made of Life-Long Oregonians and others raised within the Northwest; which, is made of Vietnam Veterans as well as all other wars since then – and we, as Oregonian’s – Veterans – and American’s, are concerned with your decision making process. We find no valid references to validate your questions placed within your decision making process, as they are in particular non-scientific as well as Special Interest driven. What we have found is validity in those particular questions used in many other states to make awkward and non-scientific decisions, primarily based on — no science what so ever, all of them listed. We have also found evidence, and reference material from the Legislative Branch of our Federal Government, those particular questions were developed from those who specifically (and well noted as well as emotionally driven) hate Wolves, and gathered a consortium to change the Endangered Species Act over the years. We Oregonian’s find this situation in contempt, and ironically hypocritical. I say this, as at previous ODFW meetings and presentations, you lectured the public on emotion-driven situations and forethought, and yet your decisions are based not on science, but the emotional aspects of Special Interest Groups; which in turn is driven mostly from fear, which caters toward contempt and hatred, which extends further into bad decision making = quite Costly to all Taxpayer’s in the State of Oregon . . .
We also see, under review and closer scrutiny, your Special Interest slant very obvious and devious in nature and character. In reality your decisions to Delist the Wolves, with such a non-viable population that exists currently, it is definitive in responsive-action toward those Special Interest Groups only, as mentioned above. Oregonian’s seem to be left out of the equation in total, and in reality pay the most in taxpayer money for you to manage Oregon’s Wildlife. And, as you also know — if not Oregon needs a change of Administration within the ODFW immediately — Oregonian’s receive the least amount of benefit when compared to the actuality of taxes being paid for such endeavors, to the ODFW presently that only caters for a small minority of the pubic. We also cannot locate any references to validate the questions posed for the decisions, and find them irresponsive to Oregonians wants and requirements to manage Oregon’s Wolves. We also discovered, as well as researched, with no emotion from us but certainly of concern, the ODFW’s attachment to such a government agency as Wildlife Services, under the cloak of USDA. So within the question’s responded to for your decision making process, the element of trust is null and void, as your association with Wildlife Services (references apparently you neglected to notice below) speaks loud and clear to the public-at-large in Oregon. 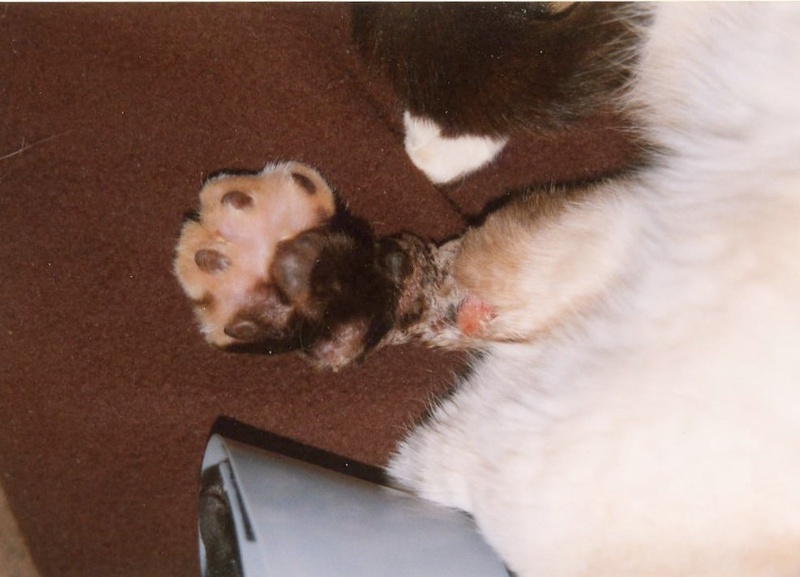 Please peruse below the overwhelming amount of references of psychopathic behaviors of Wildlife Services employees, the long stream and consistent through the years of animal torture and abuse, then the in particular non-management, and totally in opposition to any type of management of wildlife, especially in Oregon, the Millions of Wildlife tortured and Killed over the Decades by this particular government agency . . . Abuse, torture, and the killing of animals recklessly as well as uselessly, in this case wildlife, is not what Oregonian’s pay you for! Your direct association with such a government agency, and those types of individuals, is not only questionable, but unacceptable. The fact is, you have been blessed with a public that has been asleep over the past few decades, especially in the matters of wildlife management, and many other states and wildlife management organizations have gotten away with a lot of Special Interest tragedies. That no longer will exist, as the Public is, and will in the future become very responsive to those situations I have pointed out above. I think an example is in order here – the killing of calves and cows recently, supposedly attacked by a wolf in Klamath County, will serve us well in questioning the situation, and the ODFW response. Proximity is not an assurance of guilt of an attack by a wolf, especially since we have good information it was not in that area at the time of the supposed attack; especially near the ranch and grazing range in question. But how profound, a week before a purposeful Special Interest Delisting of the Wolf, that it would happen – the problem is, it was not wolves or wolf, but we see quite a few other wildlife in that particular area that can and would be confused with a wolf – so, as an Oregonian and concerned citizen, I would strongly suggest more investigation into this matter. We need quality in our wildlife management, not frivolous non-science backed by only torture and abuse of our wildlife here in the State of Oregon . . . and this is what Oregonian’s take pride in, Our Wildlife and Natural Environment . . .
Ironically, during my discussions the terms “good science”, “emotion”, “data gathering”, among others, strike aggressively toward a condescending subjective-reasoning, in that the ODFW wants to change factual presentation to nothing more than an emotional response; thereby, emotion not used within any of this context what so ever, simply good science and well referenced science, indeed, science, which stands in direct opposition to what ODFW states as their science, which is certainly questionable at best. Yes, many use these terms within the wrong context, oddly within a derogatory methodology, especially toward those who question their authority and decisions – some realize this, others simply repeat the terms as someone else has applied them, with no idea how out-of-place their reasoning becomes. 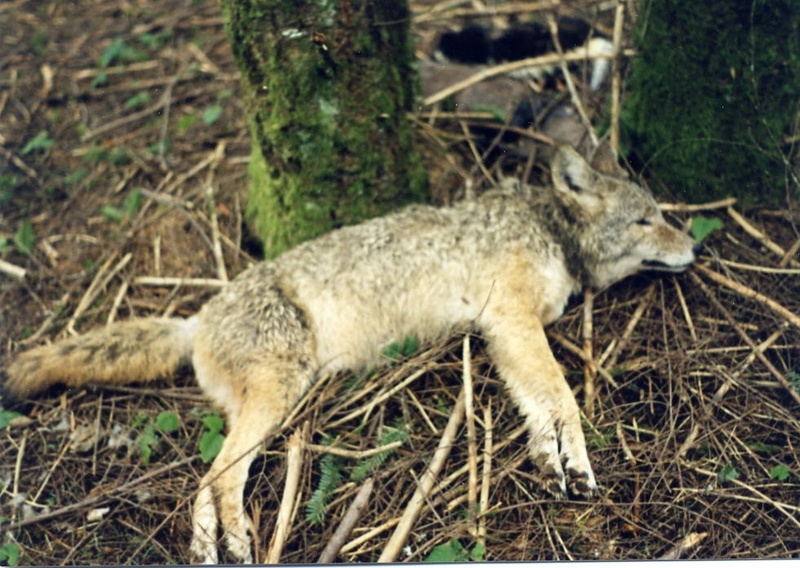 Using the Oregon Department of Fish and wildlife, as the minority of state population of ranchers and hunters do, indiscriminately kills native carnivores in a misguided attempt to protect game and livestock. But the scientific fact remains, and the above situation simply ignores detrimental environmental consequences. For example and well referenced, eliminating carnivores can wreak havoc on ecosystems because small mammal density can surge, and these animals may carry disease and compete with game species for food. Herbivore numbers may also grow unchecked, leading to over-browsing and overgrazing. The use of such other organizations as Wildlife Services remains simply unacceptable to a majority of this State’s population, no matter how perceptions are attempted to change minds. So our endeavors in Oregon should simply remain with nature. Also the stopping of what is an unacceptable practice, and stop such other organizations as Wildlife Services and their kill-at-will paradigm, mostly based on a ranchers or farmer’s emotion of paranoia and what may happen – but is not backed by science or truth – simply falsehoods that generate dead wildlife. We understand there may be a serious Conflict of Interest situation within the ODFW and a federal government agency called the USDA — Wildlife Services (this can also be taken to Federal as well as State Court as a criminal action as well if what we gathered within our information is correct, and the state should pursue this situation, as other questionable circumstances also exist), in the matter of relative or family status conflicts– and or retirement at Administrative or Supervisory levels of each government, and conflicts between private commercial/non-commercial agents and state ODFW employees – both are now compromised, and regardless of the relationship, Conflicts of interest between the policy making venues, and or voucher process or contracting when relationship discovered, require curtailment immediately . . . This we find has, and continues, to our understanding, the likelihood of erroneous as well as mismanaged wildlife situations within the State of Oregon, and the major population of Oregon does not and will not put up with the abuse, torture, and useless killing of our State’s wildlife. Many Oregonian’s, and many more who will find out, are and will be concerned over what we have found in the matters of Wildlife Services, and even more astounded our State, known to care tremendously for our State’s Wildlife, and our State’s Wildlife Managers would be connected, within any way shape or form, with such a controversial and obviously abusive and cruel organization as the USDA’s Wildlife Services.